So reads the headline of the first broadsheet review of Sevastopol’s Wars, following the book’s publication on Thursday, 20 April. Ben Wilson, writing on my study of Sevastopol in the Sunday Telegraph today (Sunday, 23 April 2017), explains that ‘after two sieges, the city came to symbolise courage – so the Crimean annexation [of 2014] was only a matter of time’. Important as it is strategically, what really binds Russia to Sevastopol is blood, defiance and sacrifice. Melvin, a retired general, is in his element in recounting the city’s violent history. During the Crimean War, Sevastopol saw the first great siege of modern industrial warfare. Leo Tolstoy, who served there as an artillery officer, saw the city pulverised by 349 days of siege, but said that the legendary “spirit of Sevastopol” was born in that rubble, and in the hearts of its undaunted citizens and soldiers. “Sevastopol is not to be surrendered under any circumstances” decreed Stalin in the Second World War. By June 30 1940 [sic – the year is 1942], the city has been under near constant German bombardment and aerial attack for almost 250 days. … The Red Star proclaimed: “Sevastopol is not merely a city. It is the glory of Russia, the pride of the Soviet Union. we have seen the capitulation of towns, of celebrated fortresses, of states, but Sevastopol is not surrendering”. Wilson describes the military history of Sevastopol as ‘fascinating’. He then suggests that the ‘general reader will be put off by the daunting length of the book and the intricacy of the military detail’. I trust that many readers – whether generalists or specialists – may beg to disagree, for the detail reveals much about the enduring character of Sevastopol and its fascinating roll call of famous people over the centuries. In his largely balanced review, Wilson quotes me on one important issue: “To explain is not to accommodate”, and remarks ‘Too true: the West hasn’t done enough to understand what Sevastopol means to Russia’. Indeed, this observation encapsulates the purpose of the book. Yet Wilson reads my account differently, claiming that ‘so focused is Melvin on the city’s military significance he neglects to explain the domestic context of the 2014 crisis’. By conjuring up nostalgia and the threat of external enemies, Putin was able to consolidate his regime and silence dissent at a time of economic woe. It was a gamble. 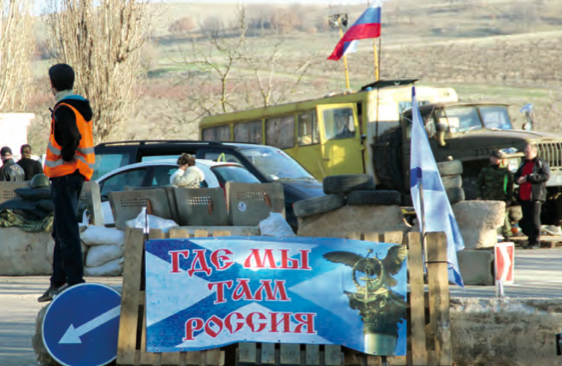 The Russian flag now flies proudly over Sevastopol once again: but at what price? This claim has an alluring validity, but I would venture to suggest that this particular reviewer may have skipped reading those sections of the book which refer to the widespread popular support for reunification with Russia within Sevastopol and Crimea. Although there are some doubts regarding the results of the referendum of 16 March 2014, the pro-Russian and anti-Ukrainian protests in Crimean cities in early 2014 were as genuine as the anti-government ones in most of Ukraine. Presumably, the self-determination of a people is only selectively acceptable, depending on your viewpoint. Yet it should be remembered that Khrushchev presented Crimea to Ukraine in 1954 without any consultation of the population affected by this change of borders. We live with the consequences today. History, whether economic, military or political, tends to be rather more nuanced than one might at first suspect. 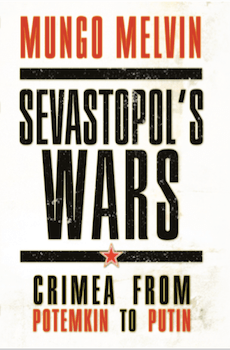 Sevastopol’s Wars: Crimea from Potemkin to Putin helps explain why. Meanwhile, the Sunday Telegraph has provided its readers with an illuminating overview of the book, which surely deserves to be read in full! Many historians tried and failed, which is why, when you read books about, say, the Charge of the Light Brigade at the Battle of Balaclava, it’s difficult to understand exactly what happened on the ground. Thank you belatedly for this comment. I trust Sevastopol’s Wars proves the exception – I have walked the ground and have tried to describe and analyse the battle accurately.